The deal is good through Jan. 6. Overwatch is half-off right now as part of a holiday sale, making the standard edition of the game just $20. The Legendary edition of Overwatch, which adds 15 extra skins, is on sale for $30. All of these sales are for the digital editions on PC, PlayStation 4, and Xbox One. Players who already own the standard edition of Overwatch can upgrade to the Legendary edition for $10. It’ll essentially just add on those extra 15 skins—five origin, five legendary, and five epic skins. The sale is ongoing from Dec. 20 to Jan. 6. 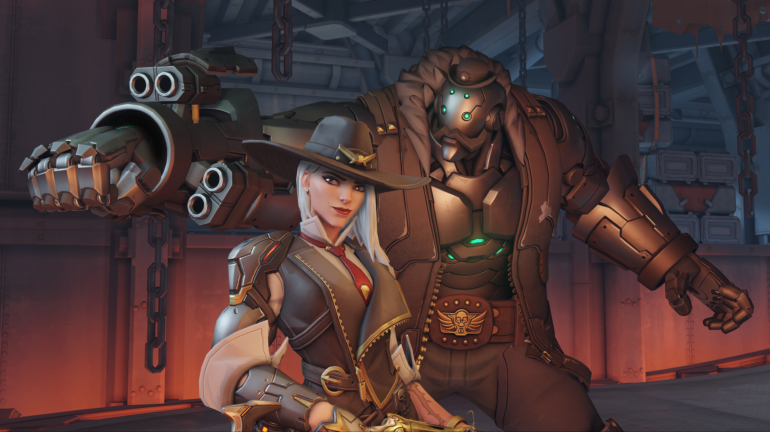 Overwatch has 29 heroes, the latest of which is Ashe. She’s a gunslinger with ties to McCree, and the leader of a legendary group of outlaws called the Deadlock Gang. Her sidekick—and ultimate ability—is called B.O.B., a big omnic butler. Essentially, he’s a seventh teammate when deployed, and a unique addition to Blizzard’s hero-based shooter. Buying the game before Jan. 2 means participating in Overwatch’s ongoing seasonal event, Winter Wonderland. The annual holiday event began on Dec. 11 and will last through Jan. 2, adding a few extra playable elements to Overwatch. But most importantly, the Winter Wonderland event adds a whole bunch of seasonally appropriate skins, like Figure Skater Symmetra, Sugar Plum Fairy Mercy, and Snowboarder Zarya. Likewise, a few of Overwatch’s maps—Hanamura, King’s Row, Blizzard World, and Black Forest—got snow-covered holiday refreshes.